Sir Paul McCartney has revealed to Radio X that he once had to give fellow Beatle John Lennon a pep talk. "I remember many years ago I was just chatting to John, John Lennon, and out of the blue he said 'I wonder how people are going to think about me when I'm dead? '," Sir Paul told Radio X. "I said 'well, you're mad. Number one, you're not going to care because you're gonna be dead. Number two, they're gonna love you, just look at what you've done, you are fantastic'. "I had to kind of reassure him and I thought after it, 'God, it's pathetic. Why would John need to be told that after all he'd done everything with The Beatles?' But I'm afraid I think it's a human thing." Macca admitted it isn't just his late band-mate who suffers from a lack of awareness of the extent to which people worship them. "I don't really realise how people think about me as because I only have my own circle of friends and I know what they think of me - my family and stuff - they don't like me. [laughs]. "I'm actually constantly surprised. It's amazing." Sir Paul's new album New came out on Monday - to critical approval - but he told Radio X he tries to avoid reading reviews. "You should never do it because the next day you're going to have go and do something, you're going to play somewhere and you just go in and think 'I'm no good', because this guy thinks I'm no good. "It's pathetic, it really is. I know a lot of people who are famous and have done loads of great things and it is common." 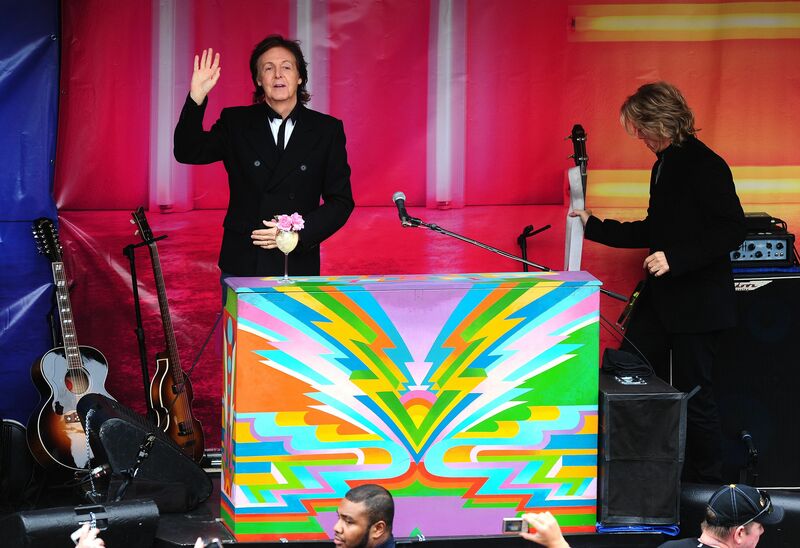 Meanwhile Macca played a pop-up gig for free in Covent Garden this lunchtime. He announced the appearance on Twitter shortly beforehand. He played five songs in the half hour set - including latest single and album title track New twice.